"Price Tag," started out as an initiative of a segment of Israeli settlers (the most well-known referred to as the “Hilltop Youth”) and their supporters inside the Green Line (and with supporters overseas). 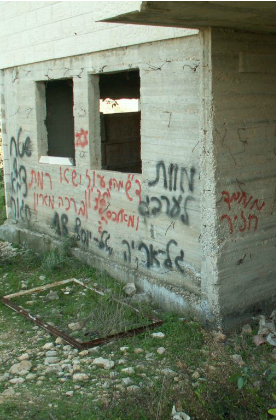 Their goal was and remains to deter action by the IDF and Israeli police against illegal settlement outposts (or any other settler activity that violates Israeli law) by making Israeli authorities believe that the costs of such action – in terms of disruptive or violent actions by settlers – would be prohibitive. These actions have involved settlers trying to physically block Israeli forces from tearing down illegal construction, rampaging through the area, attacking Palestinians (leading to injuries) and their property (including mosques), and harassing and even attacking Israeli security installations and personnel (leading to injuries). Over the years Price Tag has escalated and spread into East Jerusalem and across the Green Line, into Israel, with attacks targeting Palestinian and Palestinian-Israeli individuals, neighborhoods, villages, and religious sites (Christian and Muslim), including mosques, churches and cemeteries. The “Price Tag” phenomenon is a subset of the wide issue of settler violence and lawlessness; in terms of organized settler violence/terror, it is only the most recent phenomenon, with violence dating back to the late 70s and the Jewish Underground (for a brief history, see here and here). This page (updated regularly) presents a timeline of major "Price Tag" attacks, as reported by Israeli sources. It documents a clear escalation in attacks, and the increasing spread of attacks inside the Green Line. Where clear, indicates so-called "triggers" - events or developments that appear to be linked to subsequent attacks - although as has been noted in the Israeli press, "According to the Shin Bet, the right-wing extremists no longer appear to need a 'trigger' to take action, while the targets of the violence are also widening..." We will update this regularly. 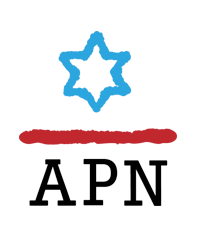 This report, by APN’s Ori Nir for Case Western University School of Law (4/3/12), takes a deeper look into the phenomenon of settler violence over the years. A report by the Palestinian Human Rights organization Al Haq Report (2012), chronicling the phenomenon of settler violence and examining the context for dealing with under international law. A report from OCHA – the UN Office for the Coordination of Human Rights in the occupied Palestinian territory (November 2009). A report on the phenomenon of settler violence from researchers at WINEP - the Washington Institute for Near East Policy (November 25, 2008).